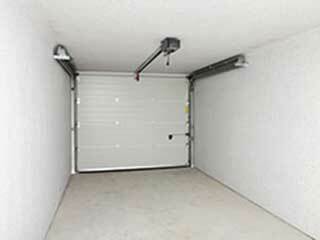 The opener has a vital role to play when it comes to using an automatic garage door. In fact, it is the very device that allows the mechanism to become automated. This is the motor unit that produces the initial pushing or pulling action that the system needs in order to initiate the movement of the panels. However, it is more than just a replacement for your arm, and depending on its type it can either be a perfect fit for your home, or a real annoyance. The first type we'll discuss is the most common one which is the chain drive opener. This type of unit uses, as the name suggests, a metal chain as part of its drive system. This makes it stronger than its counterparts, but also much louder as well, and while its strength is a real plus, the higher noise output and the added maintenance so many moving parts require can be a downside to some. If you have an attached garage, you may not want to hear this noise every single day, so this type of opener may not be the right one for you. The belt drive opener operates very similarly to its chain-based counterpart, apart from the fact that, again, as the name suggests, it uses a reinforced rubber belt to open and close the door. This makes this type of garage door opener far quieter than the other types, nearly silent, in fact. However, it is also more expensive, and therefore may not fit every home and every budget. It is also not as strong, as the belt can end up tearing before the chain of a different unit may break. The screw drive opener, otherwise known as a direct drive unit, consists of a threaded rod (ergo 'screw'), which makes it not only the fastest of the three common types, but also the one that requires the least amount of maintenance. However, as you can guess, it is not without its potential downsides. A screw drive unit can experience some issues related to temperature shifts, and it is still loud and not as silent as the belt drive models. Of course, if you're in the market for a new garage door opener, choosing the type of drive system it will use isn't the only decision you'll have to make. Many modern models now offer all sorts of innovative technological features that are worth considering, such as WiFi connectivity, rolling code technology and even battery backup. Give us a call and our company's experts will gladly consult you on this topic and make sure that you make the right choice for your specific needs.